Here we are in early August. The Bulls are back home for 5 games (doubleheader tonight!). Then off to Rochester for the last out-of-division games. Back home for a long 10-game stretch against Charlotte, Norfolk, and Gwinnett. On the road for five games. Home for two. That’s it. In three-plus weeks the season is over. Keeping focus for fans and players is gonna be hard. The players are, understandably, probably thinking about September call-ups as the Rays move towards a rebuilding 2015. 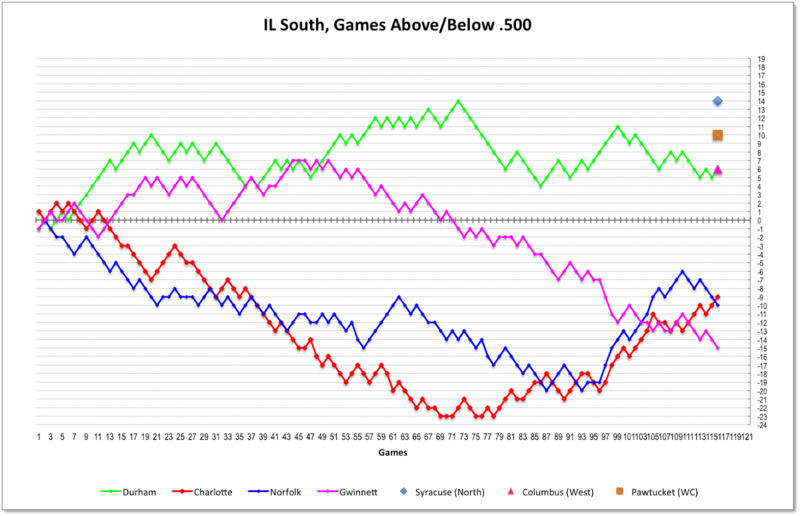 Fans are thinking about the playoffs — they begin with South meeting at West September 3rd. So let’s take a look at the team and how ready they might be for the last 28 games of the season. 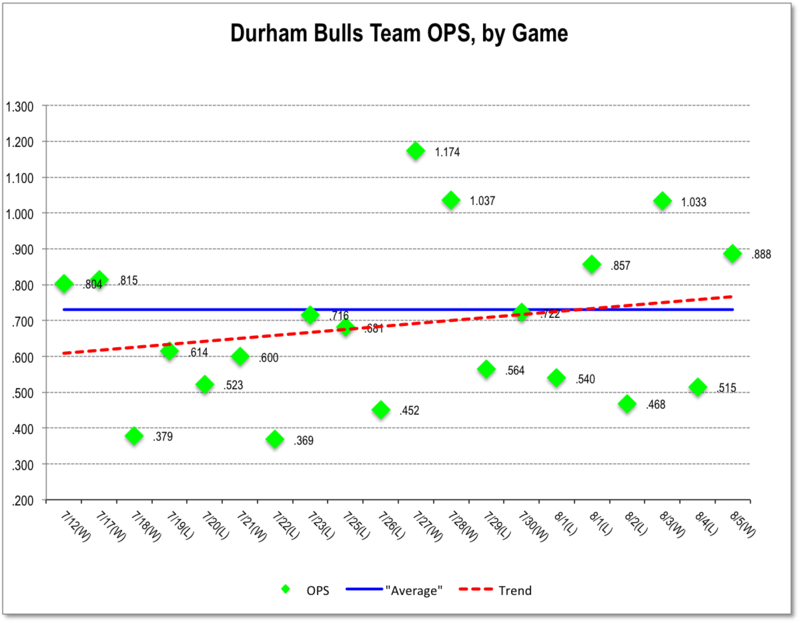 What this chart also shows is that there’s a distinct downward trend in the wins and losses for the Bulls since the All-Star break, 8 wins and 11 losses. Fortunately, Norfolk, which had been on quite a run, has fallen off. Charlotte bears watching, though. They’ve come up out of a -22 hole, beat the Bulls three out of four recently, and are hitting and pitching very well. 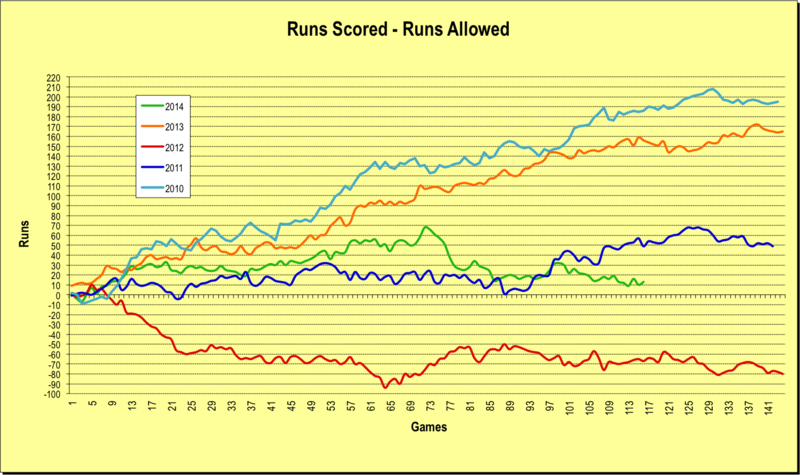 The trend in the runs scored/runs allowed metric has leveled out, but only around a plus ten. That’s well below previous winning years (see the next chart), so a bit worrisome. Pitching over the last 25 games has been OK, in the upper ranges of the International League. 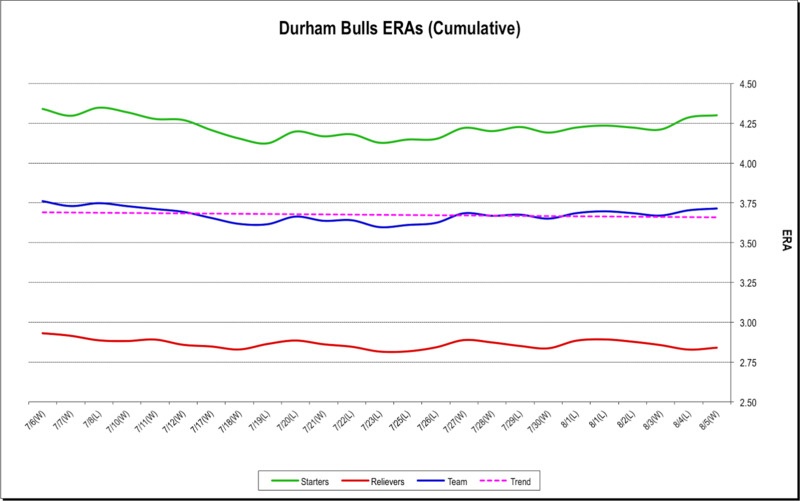 The relief pitching has been exceptional and is what has kept the Bulls in contention all year. 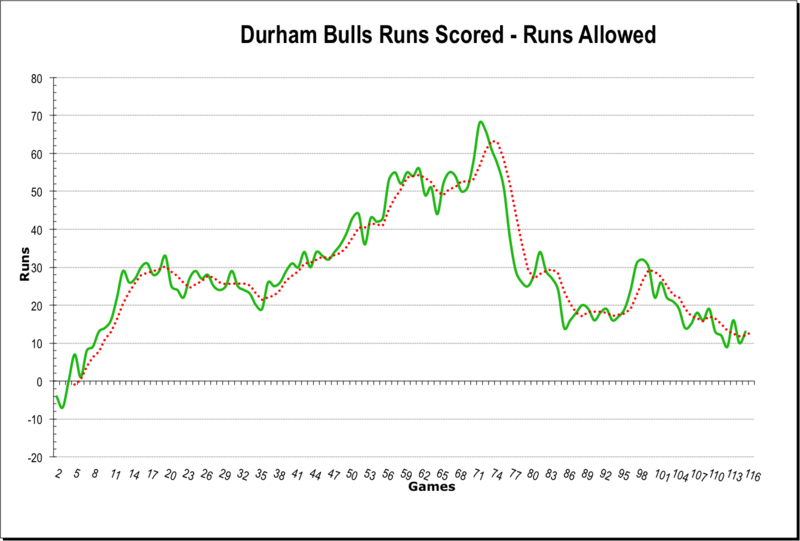 Bulls hitting, as measured by team OPS over the last 15 games, is ticking upwards.